With a shortened league leaving very little margin for error, Ashley Westwood called on his side to build on a good start and fall back on their consistent performances as the Kanteerava Stadium gets set to host Bengaluru FC’s first home game on the new season with Shillong Lajong. With away wins in the first two rounds, the Blues from the Garden City has made a perfect start in their Hero I-league campaign. Bengaluru FC are back in their fortress in Round 3 of Hero I-league. Shillong Lajong failed to capitalize the home advantage in first round battle against Mumbai FC as the match ended in a stalemate. To the start of the Hero I-league season, Ashley Westwood’s team had a few injury concerns. Robin Singh, who suffered a knee injury during the SAFF Cup last month is still out and there is no news of him coming back anytime soon. Medio Josh Walker, another knee-injury victim missed the first two games of the season. 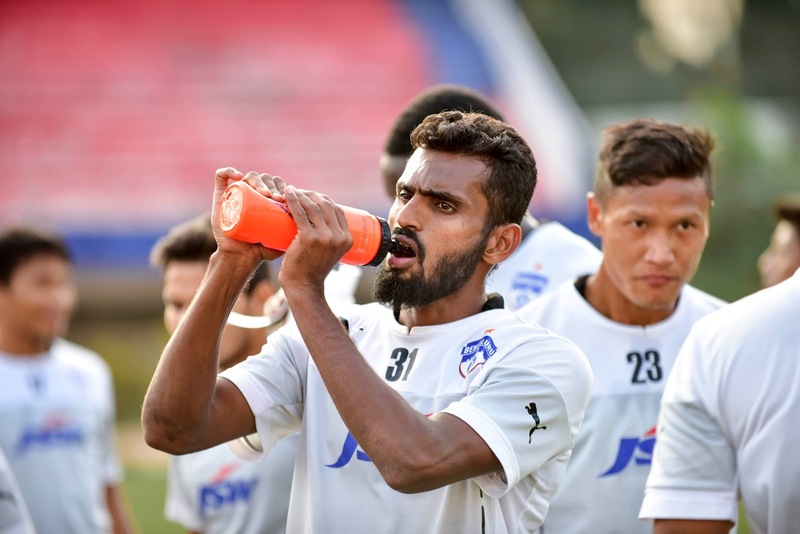 The latest from the Bengaluru FC camp is that he is out for the rest of the season. Englishman Michael Collins brings in loads of experience of playing in England and he will be filling Joshua Walker’s shoes. With a good number of players from the North-Eastern region in Bengaluru FC’s roster might work in favor for the host. Also, young striker Seminlen Doungel joined the Blues from Shillong this season. Shillong Lajong FC missed to register a win in the first round and haven’t played last week. “Bengaluru FC got the best group from the North East.” reckons Shillong coach, “We always get a good support here, I can say we will have half of the crowd supporting Lajong”, quips Thangboi. In a league, where the championship will be decided in 16 rounds, it is extremely important to garner early points. Ashley Westwood shows faith in his players but doesn’t forget to mention that they could have scored more goals in their last two matches. The game kicks off at 7.05 pm and will be live on Ten Action.